January Tennis Tip & a Chance to play tennis! Ready to get fit for season? The following movements are somewhat strenuous and should be attempted with care & good judgment. Get that edge on your opponent, get fired up, work out like the pros & get tennis ready. So before you hit the court—or start feeling the effects of tennis elbow, a product of tight shoulders—it’s important to open up your shoulders, as well as your hips, and improve the side-to-side movements so crucial for chasing down volleys and firing off accurate backhands. 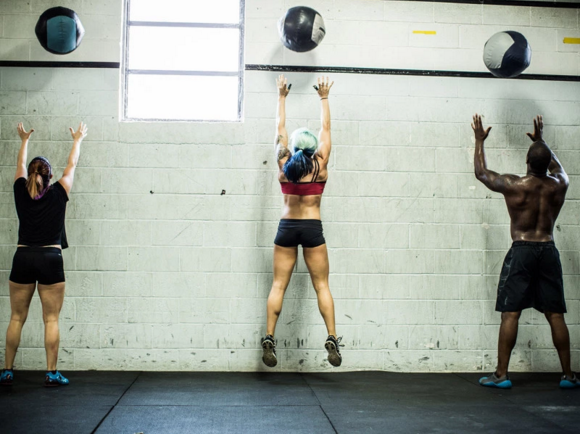 Try these 10 movements to improve your game, and you’ll be winning more sets and matches, too. When your shoulders are tight, you’ll tend to overcompensate with your arms—and that leads to tennis elbow. To minimize the possibility of this common tennis ailment, perform standing Ts. How to do it: Stand hinged at the waist, making sure to keep your back flat and your chest up. Pull your shoulder blades back and down, and raise your arms alongside your body and over your head to form a T.
Return to the starting position, and continue for a total of 10 reps. The movement should be initiated with the shoulder blades, not the arms. This improves rotational movement, and also counteracts the negative impact of sitting. Drop lunges improve lateral mobility and quickness, which are crucial in tennis. How to do it: Stand tall in an athletic position. Step your left foot foot back and behind your right foot, so that it’s about two feet behind and to the right of your right foot. Square your hips to the starting position. Then, maintaining your weight on the heel of your front leg, gradually lower yourself into a squat. Do not let your front knee slide over your toes. Stand and return to the starting position, and repeat on the other side. Alternate for a total of 10 reps on each side. This move also improves lateral mobility. How to do it: Step to your left side, and lower your hips by squatting back and down with your left leg, making sure to keep your right leg straight. Return to the starting position by pushing up with your left leg. Switch directions, and repeat the movement for a total of 10 reps on each side. You’ll feel it working your glutes, hamstrings, and quads, and also feel a stretch of the inner thigh of the straight leg. This is an effective full-body stretch that integrates the upper and lower bodies, which is crucial for swinging a racquet smoothly. How to do it: Stand with legs straight. Bend over at the waist, and place your hands on the ground in front of you. While keeping your legs straight, walk your feet up to your hands. When you feel a stretch, plant your feet and walk your hands out in front of you to a pushup position. Be sure to take short steps using only your ankles, without bending at the knees. Continue for a total of 10 repetitions. This move increases overall power. 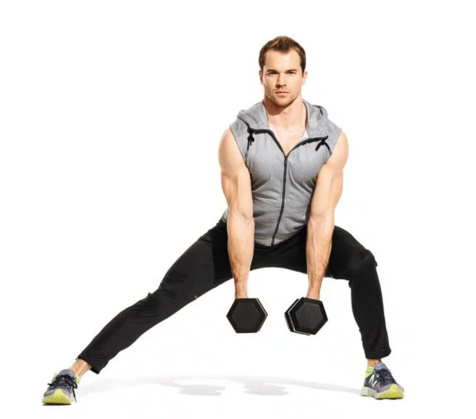 How to do it: Stand with feet shoulder-width apart, knees slightly bent, and hips back, holding a medicine ball below your waist with straight arms. Keeping your arms straight, lower yourself into a squat. Burst out of the squat by jumping up and launching the ball straight into the air as high as possible. Retrieve the ball, and return to starting position. Complete for 10 reps.
By stretching the glute and hamstring of your front leg and the hip flexor of your back leg, you’ll improve flexibility and mobility in the lower body, and quickness on the tennis court. How to do it: From a standing position, lift your right knee to your chest and grab below the knee with both hands. Pull right knee to chest while contracting left glute. Step forward, and repeat to other side. Alternate for a total of 10 reps on each side. This will build explosive power in the upper body, which you need to play effective tennis. 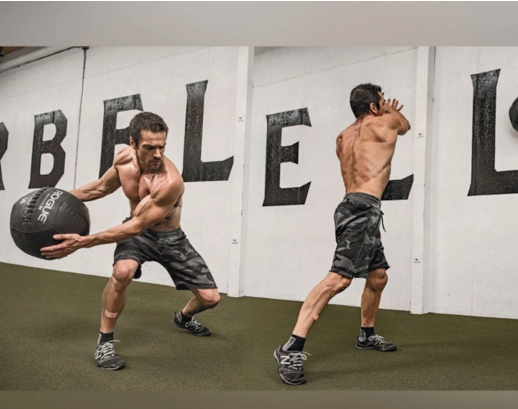 How to do it: Stand in an athletic position, holding a medicine ball at waist level. Bring the ball straight up in front of you, and above your head. Fire your core, throw the ball into the ground in front of you. Feet may leave the ground during the throw. Repeat for a total of 10 reps. Exercises that improve your ability to store and release energy will improve how fast and powerfully you swing the racket. How to do it: Stand facing a concrete block wall about 3 feet away. Hold the ball at waist level. Rotate your trunk away from the wall, initiating the throw by thrusting the hip toward the wall, followed by the trunk, arms, and the ball. With one hand under the ball and the other behind it, catch it with your arms slightly bent. Repeat for a total of 10 reps, then switch sides. Foam rolling uses deep compression to roll out muscle spasms and imbalances that develop over time. The compression causes the nerves to relax, and also loosens muscle, gets the blood flowing, and helps the body recover from workouts and day-to-day living. Like a professional massage, there will be some uncomfortable moments with foam rolling. Use the roller anywhere you feel tight and in need of a massage. 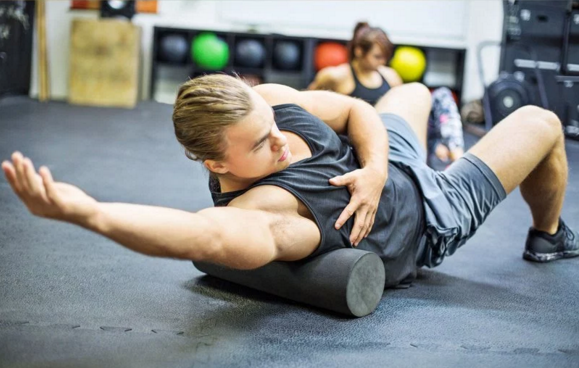 The foam roll not only addresses muscle imbalances, it’s a great barometer of the quality of your muscle and connective tissue. Recovery is a key part of tennis, and the foam roller will help get you back on the court more quickly. Even when you’re not playing tennis, a ball can improve your game. This “trigger-point therapy” will help relieve chronic foot pain and fascial tightness, which is a result of everyday life but especially from playing on hard tennis surfaces. According to Eastern medicine, this process also improves overall health. Why you should do it: Keep a tennis ball under your desk. While standing or sitting, slip off your shoe, and roll back and forth over the tennis ball, applying pressure to the arch of your foot. Special Tennis Players Package from Inverness staring soon! We have partnered up with Colorado Athletic Club Inverness for an Intro to Tennis package for the month of February or March! These classes are great gift ideas for that member of your family who’s always wanted to try out tennis. Whether you’re a beginner or someone who hasn’t played in years and is interested in starting again, we have classes for you. For Inverness members, the cost of 4 classes will be $119 & includes a brand new strung Asics BZ 100 racquet! If you already have a racquet, cost is $69 for the 4 classes. These classes are open to non-members as well! The cost with the Asics BZ 100 racquet is $149 and without is $99. The total cost of 4 classes and this NEW Asics racquet is normally $309, so take advantage of these huge savings! Limit is 8 players per class so don’t miss out! Call or email Tennis Director, Anthony Venable directly to purchase@720-895-0919 or email: avenable@wellbridge.com.